A lot of microcontroller projects communicate with a computer using a serial connection as this is still a very simple and cheap way of communicating. 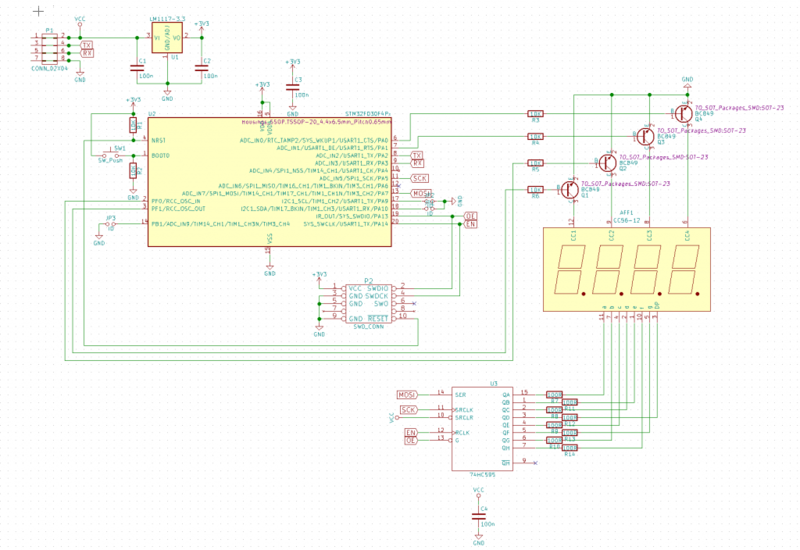 Making a program on the PC to communicate with a microcontroller can however be a bit tricky. 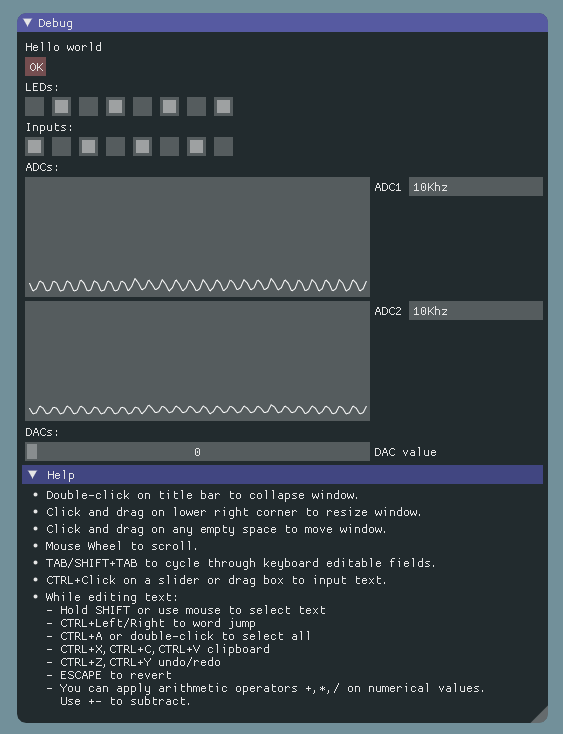 On accident I stumbled on the Dear ImGui library, a C++ library to quickly make a GUI, for debugging a C++ project for example. I really liked the look of it, it looked really simple, with a lot of usable gui objects. Dear ImGui can use OpenGL, DirectX, Vulcan and more. It is cross platform as well, as long as OpenGL is used. A gui is just half of the issues solved, a good library for serial communication is also needed. After a quick look Serial popped up. Except for the annoyingly generic name it is a very nice looking library. Cross platform and simple to use, being made to look and feel like PySerial. With these two libraries it is possible to make a C++ cross platform GUI for all kinds of microcontroller projects. I decided to make a simple project first that can read and write to some IO ports, set the DAC and read in two ADC’s. 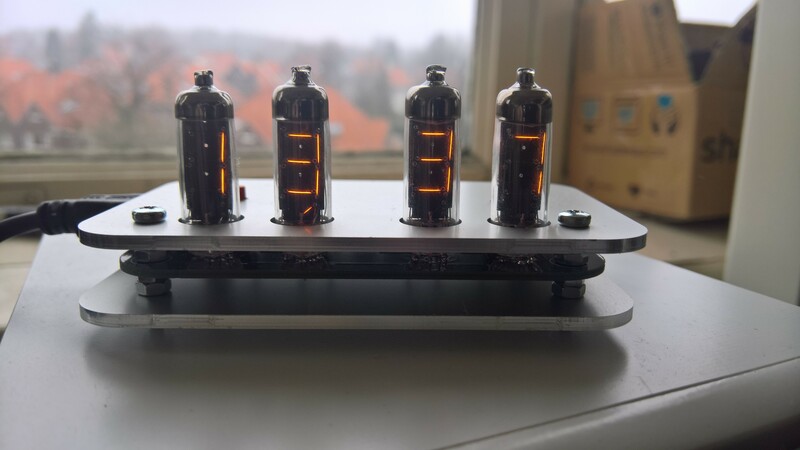 A while ago I bought the following headphone amp on Ebay as it looked like a nice small project. The included case and battery are also quite nice and the price was very affordable. A few weeks later the parts arrived in a very recognizable china envelope. In the package I found, exactly as pictured on Ebay, A nice looking PCB, a bunch of parts, a battery and a case. The first downside is the lack of documentation. There are no build instructions, making it a bit less nice for beginners. 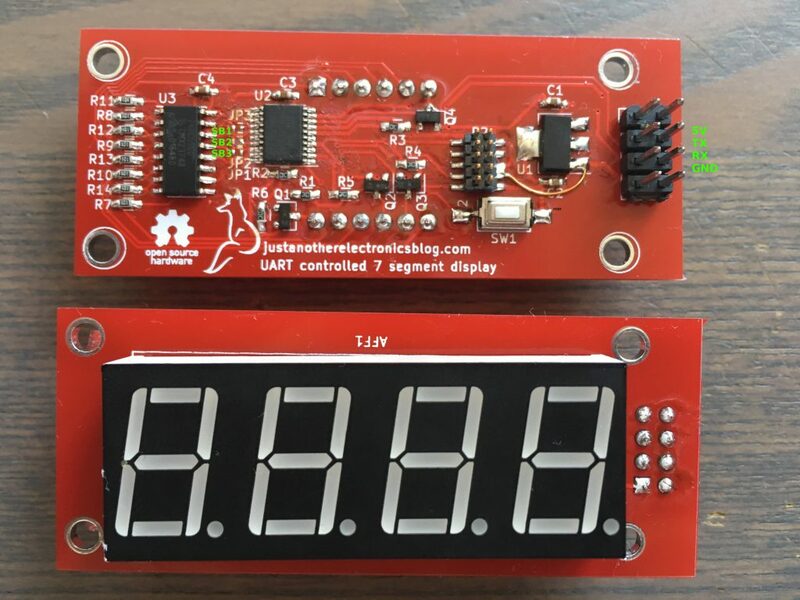 All the values of the parts are printed on the PCB silkscreen and written on the parts whenever needed. So building it takes a bit of figuring out but is very doable. 2 issues arise fairly quickly though. 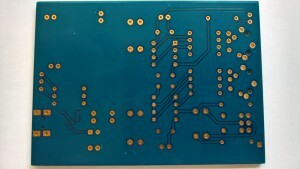 The diodes have no anode or cathode marked on the PCB and the IC that is surrounded with diodes has the marking removed. I think it’s clear where this is going, I soldered all three diodes incorrectly and after correcting the IC got insanely hot in less then a second. Lovely. 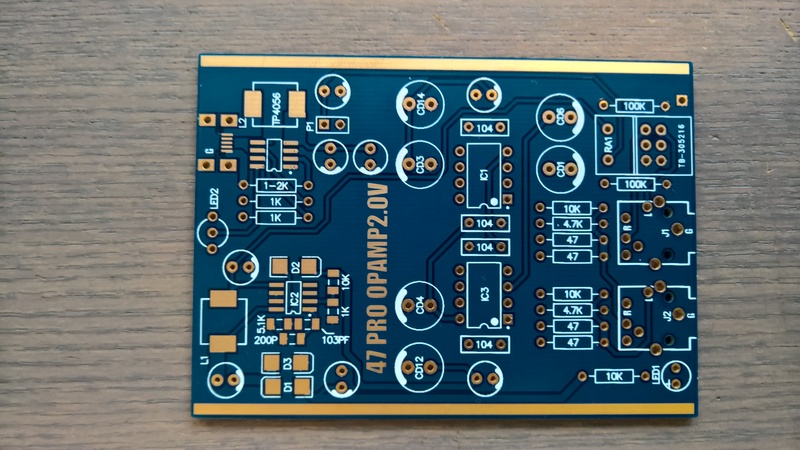 The rest of the PCB went OK to build, the parts are from a good quality brand and the PCB looks nice with the gold plating on it. The only issue where the diodes. It has 32 IO pins, 3 UART, 2 SPI, 1 I2C and 8 analog inputs. 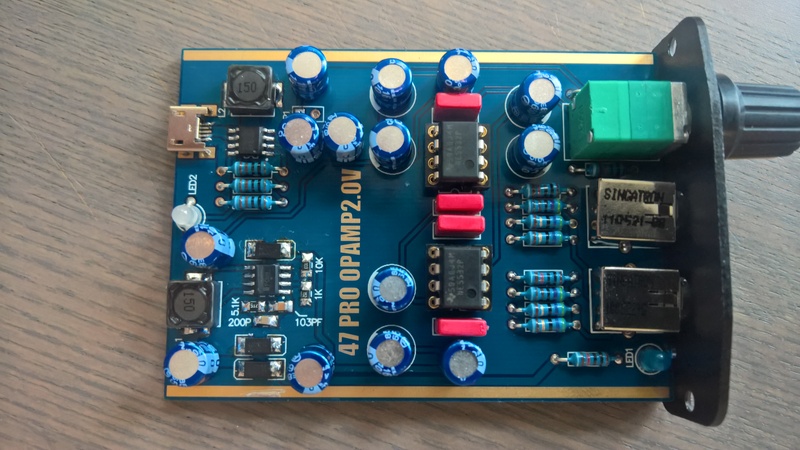 It also has 1 LED and 1 button on the PCB for small tests and projects. 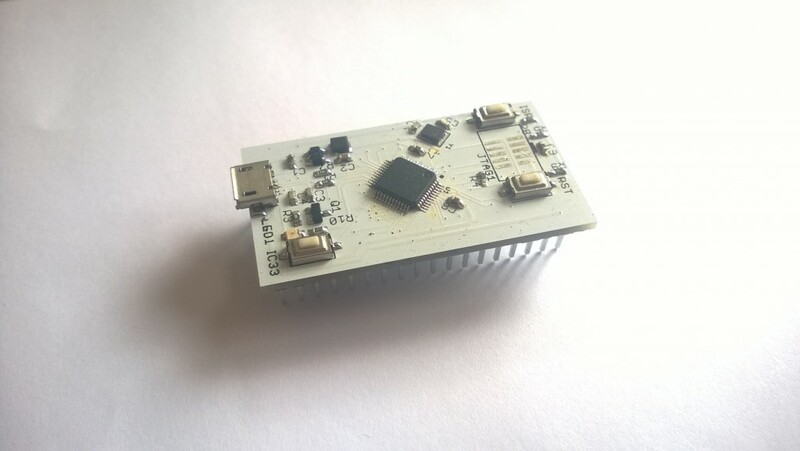 To use the Tinycortex in the MBED online compiler the MBED LPC11U24 can be selected. One header file needs to be included. 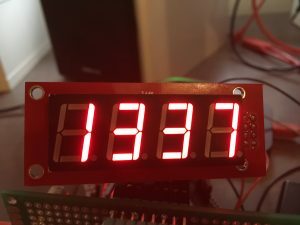 It can be found on the github page or in the example blink a led project on the MBED website. 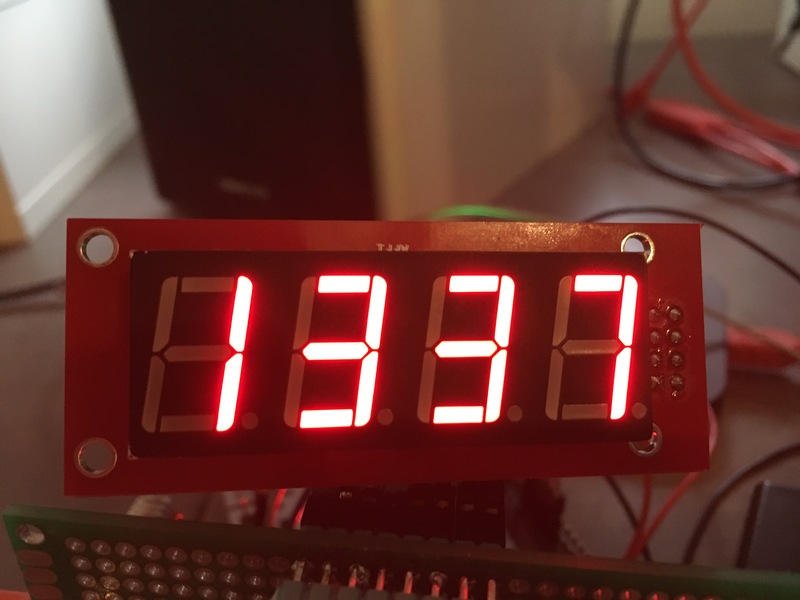 After the header is added the pin names IC1 to IC33 and LED1 can be used in the code. Or you can import the blink a led example and modify that. After compiling the MBED environment will generate a .bin file. 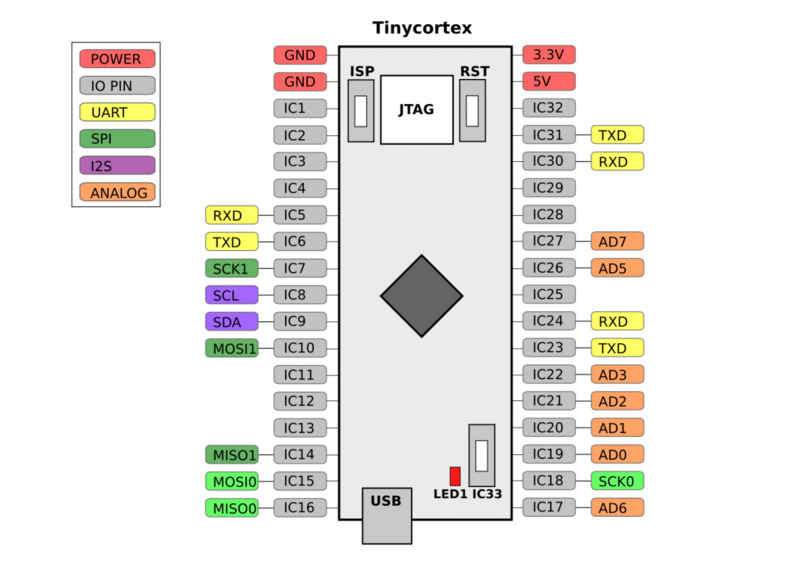 To place this file on the Tinycortex connect it to the USB port with the ISP button pressed. Release the button after plugging it in and you should see a 32KB flash drive with one file, firmware.bin, on it. Remove this file and place the new .bin file on it. After that press the reset button (labeled RST) and the new code will be executed. I like the MBED boards, they are small, fast and the libraries and community are great. The only downside is the price. The cheapest official MBED board is around 50 euro’s and some cheaper supported boards like the ST nucleo boards don’t fit in a breadboard. 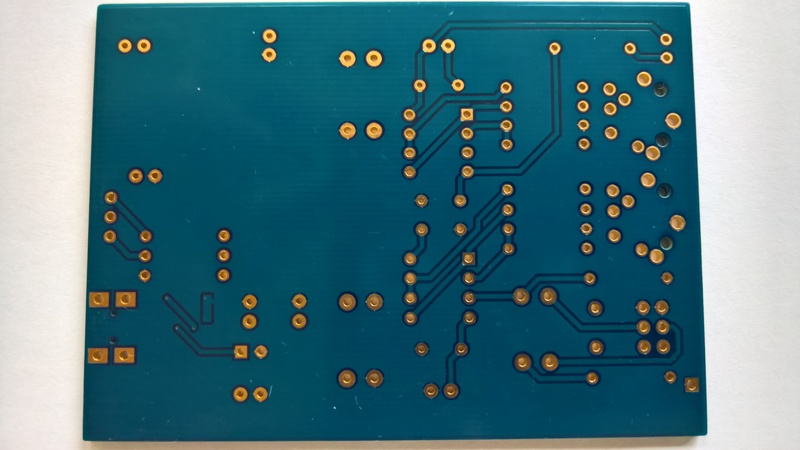 I wanted to make a small MBED compatible dev board that fits in my breadboard and costs a lot less then the real MBED boards so I can just leave them in a project without caring too much. In the next post I will show the pinout and how to use it in case anyone makes one and for the people I gave one as a reference.